The Madrona Cowl is a brioche knit, worked in the round using worsted weight yarn in two colors. Madrona trees are native to the Pacific Northwest. They have gorgeous peeling bark, shiny leaves, and little berries. 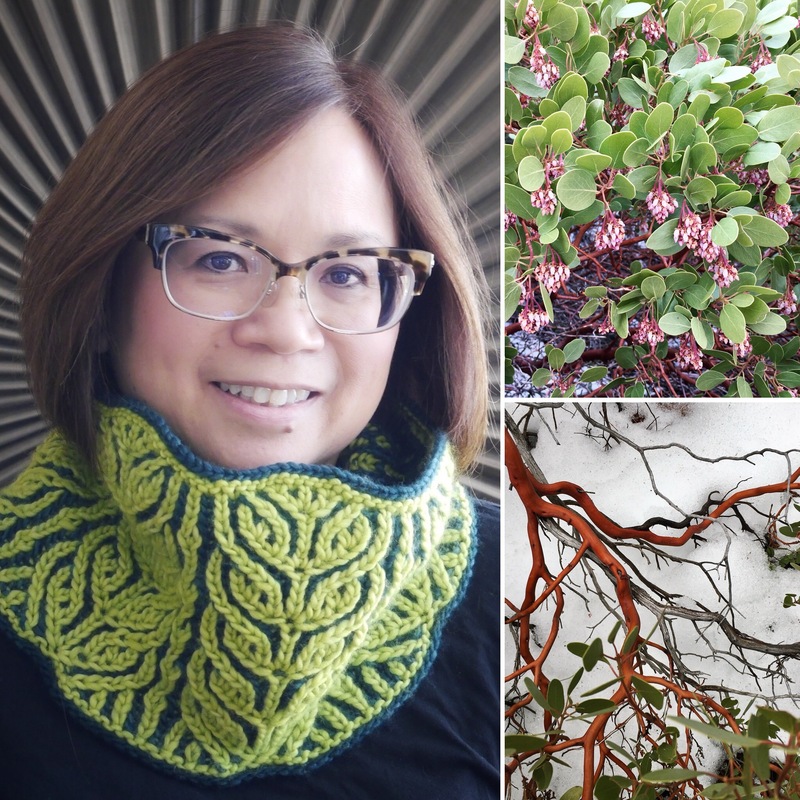 This cowl features leaves and optional small bobble-like berries. I knit most of the blue cowl (no berries) while at Madrona Fiber Arts Festival 2018, and the name seems to fit. The green sample has berries on the vertical columns. I knit my cowls with Malabrigo Merino Worsted. You can use any worsted/heavy worsted weight yarn. This pattern is available through Ravelry download; link here.